In the current context of growing complexity of territorial problems and high density of actors with contradictory interests, participation is a promising approach for building a more innovative and sustainable society. 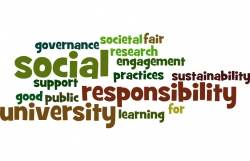 The advantages of public participation are widely recognized and defended by government institutions and civil society. However, considering the cases of citizens' involvement in decision-making processes, their effectiveness and impact on decisions in Portugal is still relatively scarce. The development of participatory methodologies becomes particularly useful in order to make it possible to build compromises among the actors, to mobilize means, and to generate new forms of "collective action" around common objectives. To reformulate educational policies to sensitize young people about the need for greater involvement in decision-making processes, enabling them to become more involved in community problems and be aware of the importance of civic education to create adults who are responsible for and interested in the collective. To involve public participation in the various phases of decision-making, from the initial phase to the final, without forgetting the monitoring phase. To publish the results of public participation as a good practice to acknowledge all the stakeholders who participated. Among the most important recommendations we would like to highlight three of them. First, the proposal to change educational policies in order to raise awareness among young people about the need for greater involvement in decision-making processes related to sustainable innovation. Second, the need to foster entrepreneurship and empower the entire school community, especially the younger ones, to become more involved in community problems. The importance of civic education to be part of the integral formation of individuals, in order to create responsible and interested adults who care for the collective. This is due to the fact that these recommendations make sense within the scope of the CASI project, so as to enable civil society to be involved in the R&D system, in particular, in sustainable innovation processes. As a conclusion, we would like to highlight one more recommendation, which emphasizes the importance of disseminating invitations and information according to the communication plan and channels appropriate to the targeted audience. Also the results of the public participation processes should be disseminated to recognize all stakeholders, who have been part of the process. It is important to create venues where this mobilization can take place and to put into practice new planning methodologies. Putting the recommendations into practice requires a change in the conception of public policy-making methods. Public policy-making will be characterized by a non-linear, socially constructed methodology. This collaborative approach builds on the involvement of various actors (scientists, stakeholders, decision-makers and citizens) to collect information, share common concerns, and look for solutions together.